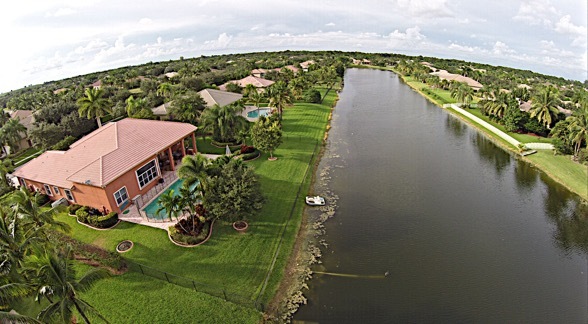 Imagination Farms | Featured Homes | AAA Realty Group, Inc. 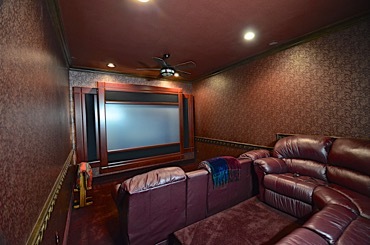 This is a highly upgraded Hanover model which features 5 true bedroom, a den plus a magnificient home theater. Ready for quick move in. Custom front doors, Brazilian Cherry wood flooring, Crown and decorative molding, French doors to patio, 5 full bedrooms + den + 20' home theater. Built In's, Kitchen features granite counters, wood cabinets, walk in pantry. Master bath dual vanity sinks, walk thru shower,roman tub. Outside features: Huge covered patio, custom pool, extended pool deck, accordion shutters, emergency generator, extensive landscaping, fenced yard, long water view. Home Tour Link for Hi-def photo’s, floor plan and more.